Wear your poppy with pride today, pause respectfully for two minutes at 11am this morning, remembering those who have given their lives for the freedom that we all enjoy today and support the sterling work of the Royal British Legion. Lest we forget not just the often young brave military personnel but also the dedication and efforts of the railway workers that worked tirelessly, in all too often difficult and life threatening conditions themselves, indeed many did also fall, actually within or at whilst working on the home railways, as a result of many of the theatre’s of war, including and since World War 1. Locomotive 333 was built originally by the London Brighton and South Coast Railway, designed by Billinton, as an L class 4-6-4 ‘Baltic’ tank. She was given the name Remembrance and became the companies War Memorial engine and carried a plaque with the inscription above. In 1934, under the auspices of Maunsell they were rebuilt as Class N15x (an appropriate Brighton-style suffix) 4-6-0s, and fitted with standard Urie LSWR tenders along with smoke deflectors. Now number 2333 ‘Remembrance’ retained its name, plaque and status within the Southern Railway, hence being used again to illustrate this timely post. Are there any publications dealing with war memorials to railway personnel? I can think of the entrance at Waterloo, the inscriptions at Kings Cross and the Victory Arch at Victoria as being amongst the large symbols of commemoration, but there must be many hundreds of smaller such about the country. 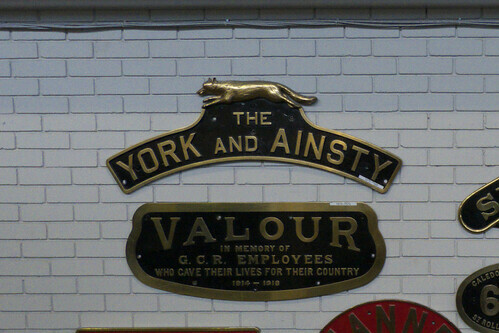 Is the nameplate from the LBSCR loco at the NRM in York, or preserved elsewhere? I believe that the “Remembrance” nameplates are at the NRM. There is also the Great Central’s war memorial at Sheffield Victoria. 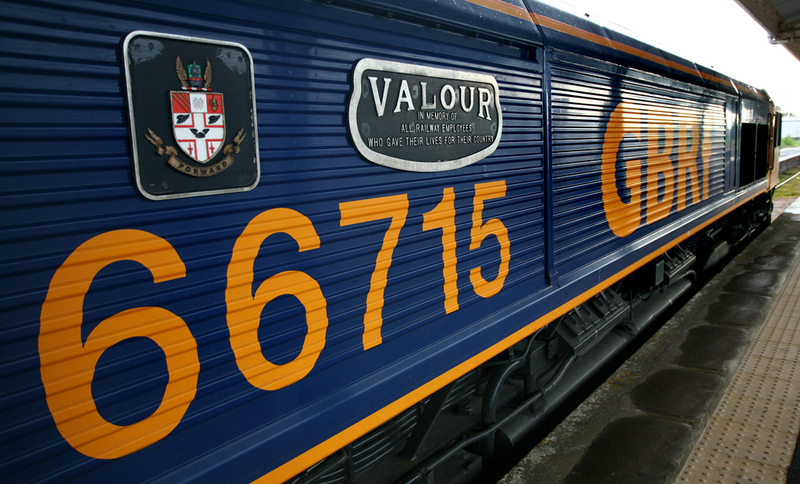 The nameplates for the Great Central’s memorial locomotive “Valour” are at the NRM. A modern diesel also carries similar nameplates.